Emin Leydier gets the FSC 100% RECYCLED certification for its two paper mills. 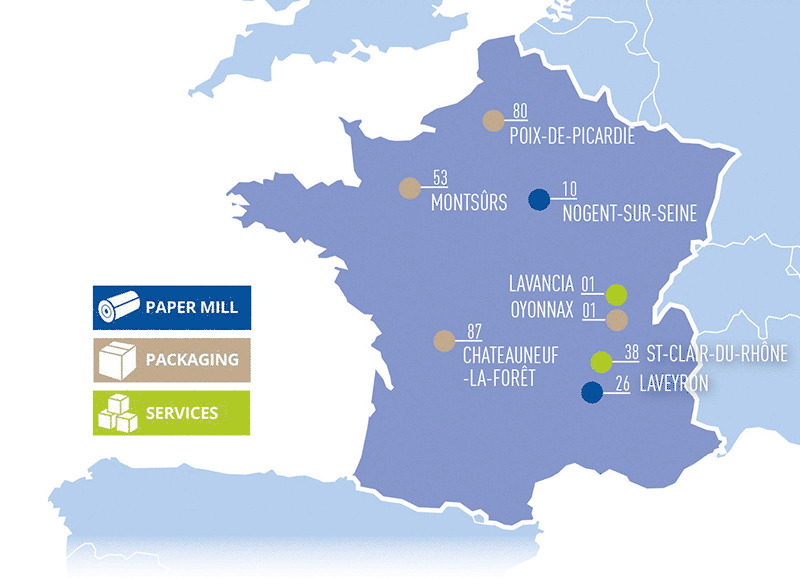 Since the 1st of January 2017, all Emin Leydier paper mills are now FSC® certified « Chain-of-Custody » products. The FSC® Mixed label indicates that the packaging is made from a blend of certified FSC® fibres and of controlled fibres, from verified and non-controversial sources. Chain of Custody certification applies to manufacturers, processors and traders of FSC certified forest products. It verifies FSC certified material and products along the production chain. So all the customers can have this certification on their paper rolls, this complying with their needs and requirements regarding quality and respect for the environment. To preserve natural resources, Emin Leydier group has anchored for over 40 years, its approach to the preservation of natural resources by using renewable resources for the production of paper for corrugated. The compagny produces 2300 T/day of paper rolls made with 2500 T of recovered paper & packaging, thus restoring waste in new papers. European leader in the production of recycled paper, Emin Leydier is fully committed to limit the impact of its activities on the environment, in a world in which natural resources must be preserved. It is in this sense that the group sells environmental friendly, economical and viable products, within a responsible and durable environment for the future generations. 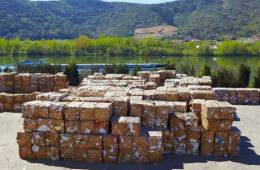 In 2009, Emin Leydier was the first French producer of recycled paper for corrugated to obtain The FSC® « Chain-of-Custody » (Forest Stewardship Council) accreditation. This trademark attests to the compliance of the procedures relating a responsible management of the forests for its both Emin Leydier paper mills, located at Laveyron (26) and Nogent-sur-Seine (10). As part of its overall strategy in responsible development, Emin Leydier met its commitment with the certification of its Packaging activity in 2013.The fourth plants Emin Leydier Emballages are FSC® certified « Chain-of-Custody » (Forest Stewardship Council), and labelled Imprim’Vert. Since the 1st of January 2017, pursuing their efforts, the rolls sold by Emin Leydier paper mills are now FSC® certified « Chain-of-Custody » for the products FSC RECYCLED 100% certified.